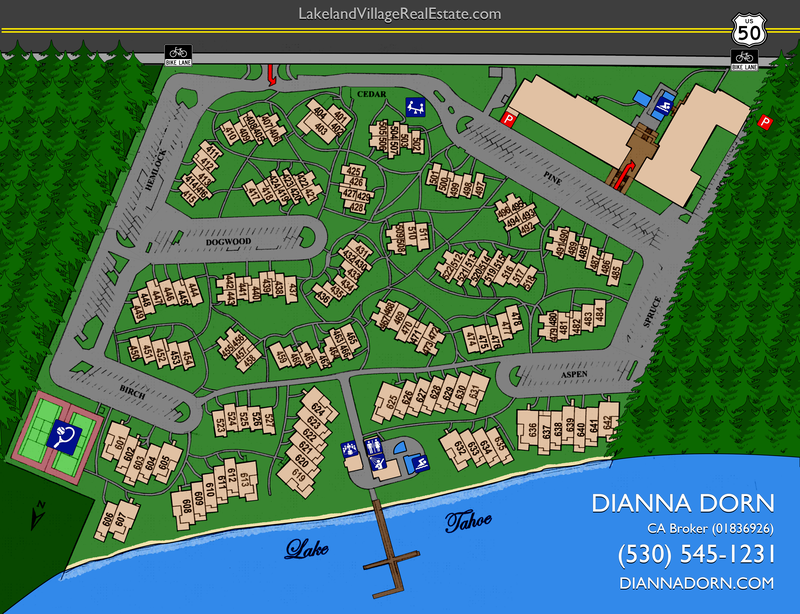 Lakeland Village Townhouse Map: 3535 Lake Tahoe Blvd, South Lake Tahoe California borders 1000′ of sandy beach and is centrally located in South Lake Tahoe. Homeowners enjoy amenities such as a private pier, three buoy’s, three swimming pools, one heated year round, two year round hot tubs, saunas, two tennis courts and a fitness center. There is also a sub terrain common parking garage. The main lodge building has a beautiful lobby with plenty of seating and a large stone gas fireplace. A great spot to get a cup of coffee and get you morning newspaper. As you can see on the Lakeland Village townhouse map, Lakeland Village borders over 1000′ of beach and there is a private homeowner association pier. From the beach you can walk to the Ski Run Marina which has shops, watercraft rentals and restaurants like the Riva Grill and Artemis. Take the walking bike trail from there all the way to Stateline where you will find the casinos such as Harveys, Harrahs and Mount Bleu. In the winter Lakeland Village owners and guests benefit from Vail Heavenly Ski Resort just one mile up the hill. Stateline Heavenly Gondola Ride is only 1.25 miles away. For the investor looking for one of the most attractive real estate properties to own in the Tahoe basin, you will find that Lakeland Village is a very appropriate choice. Choose a type or price range from the selection available. A range of sizes from a moderately priced Studio apartment in the Lodge building to Waterfront Units available with up to five bedrooms located on 1,000 feet of wide, sandy beach. 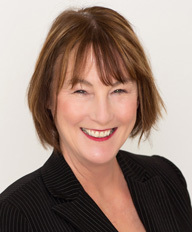 "Dianna,I would like to thank you very much in the very efficient and pro-active manner in which you handled our sale of our condo #619 Waterfront at Lakeland... continued"